The withdrawal, which was posted by Kent County Council, prompted hilarity and disbelief on social media. 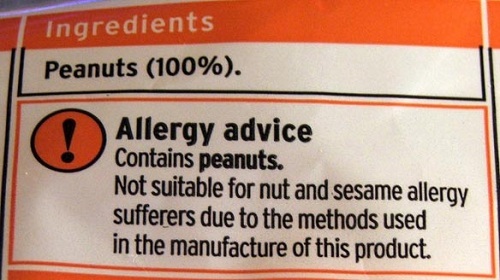 Perhaps it's because peanuts aren't technically a nut. They are legumes. Another apparent case of clueless and unqualified dolts being put into situations where they are clearly not up to the task ??? Seeing that kind of nonsense cropping up a lot these days in areas where bureucracies are involved..
Food safety stuffups; poorly applied environmental and wildlife protections; ill-thought-through knife and gun laws -- just some examples cropping up regularly these days. Even worse when "appearances for appearances sake"and political expediency take priority ahead of actually getting positive results..
HoratioTarr wrote: Perhaps it's because peanuts aren't technically a nut. They are legumes. Are people who are allergic to nuts also allergic to legumes? This one is sort of stating the obvious.